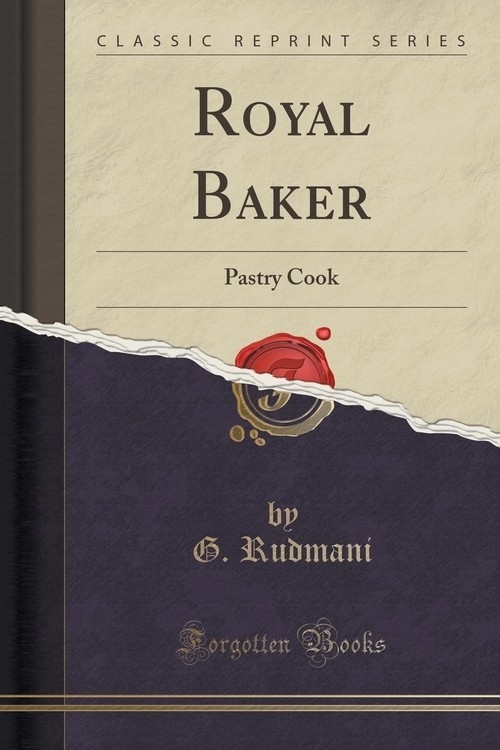 Opis: Royal Baker - Rudmani G.
Royal Baker: Pastry Cook by G. Rudmani is one of the most detailed resource on pastry recipes. It has hundreds of recipes with useful hints, proper ingredient measures and detailed steps for creating lip smacking delicacies. Ideal for an avid baker, home maker or casual enthusiast, the book contains a vast database of beverages, sauces, breads, vegetables, poultry and a variety of desserts. Rudmani opens with an exhaustive index of categories and recipes, all listed in alphabetical order. He then explains baking moulds for different kinds of delicacies with a pictorial depiction of the various utensils including brushes, pans, baking sheets and scales, among others. It is these thoughtful additions that make Royal Baker: Pastry Cook different from run of the mill recipe books. Through careful instruction and clear technique, Rudmani helps the reader in understanding the intricacies of the perfect baking methods and the reasons behind each process of cooking. Explained in the first chapter are some of the hints and guidelines which will ensure that the end product is nothing less than perfect. While the recipes described in Royal Baker: Pastry Cook cover a large spectrum of different methods and ingredients, it is the section on cakes which has been provided with the most detail. The author also explains the art of creating pies, dumplings, cheese cakes and other kinds of pastries which might interest the reader. This book is the perfect ready reference for quickly learning the art of baking and expanding the reader's knowledge of different ingredients, exact measures and using the correct utensils for the best output. Szczegóły: Royal Baker - Rudmani G.
Recenzje: Royal Baker - Rudmani G.